John Adams was born in Braintree, Massachusetts October 30, 1735. His Puritan great-great-grandfather, Henry Adams, sailed from Devonshire, England seeking religious freedom as did his Mayflower pilgrim ancestors John Alden and Pricilla Mullins who landed at Plymouth Rock. 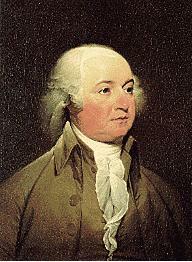 His father, John Adams, was a Harvard educated farmer who supplemented his income by making shoes. John Adams graduated from Harvard College in 1755 and became a schoolteacher. 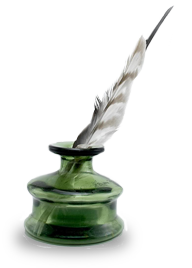 After a year he decided to become a lawyer, in 1758 was admitted to the bar and began practicing law in Braintree. In 1764 at age 29 he married his 19 year old cousin Abigail. They were devoted to each other; she was his “Dearest Friend,” in letters – his “best, dearest, worthiest, wisest friend in the world”—while to her he was “the tenderest of husbands,” her “good man.” They had five children, the oldest son John Quincy, became sixth President of the United States. Abigail would be the very first lady of the White House, and the first woman to be wife of one President and mother of another. There has only been one other, Barbara Bush in 2001. In 1766 Adams moved his law practice to Boston, became active in politics, and improved his reputation as a lawyer. After the Boston Massacre in 1770 that killed five colonists, Adams and Josiah Quincy acted as defense attorneys for the nine British soldiers charged in the deaths. Adams and Quincy won the acquittal of all soldiers but two who were reprimanded. Political events drew Adams into public life and he became identified with the patriotic cause. In 1774 Adams was elected as a delegate from Massachusetts to the first Continental Congress. He visited places he had never seen and met political leaders in New York, Princeton and Philadelphia. Adams convinced the delegates to organize the Sons of Liberty who were besieging the British in Boston. Adams nominated George Washington to be commander in chief of the Army. After the battle of Bunker Hill in 1775, Adams wrote “The die is now cast. . . Sink or swim, live or die, survive or perish with my country is my unalterable determination.” Adams was reelected to the second Continental Congress. Monday July 1, 1776 John Adams believed would be a momentous day. Adams had risen early and wrote to a friend “This morning is assigned the greatest debate of all.” John Hancock gaveled the Second Continental Congress to order at ten o’clock and they would debate for more than nine hours—into the evening. Outside the rain came down in torrents flooding the roads and lightning flashed from the darkened skies. Three weeks earlier, Richard Henry Lee of Virginia had called for a vote on the issue looming before Congress for months. “That these United Colonies are, and of a right ought to be, free and independent states, that they are absolved from all allegiance to the British Crown.” Today they would vote on Lee’s proposal. He spoke for nearly an hour when he was interrupted by the entrance of Richard Stockton, Rev. John Witherspoon and Francis Hopkinson. The three New Jersey delegates were arriving to take their place as new members of Congress, and had been caught in the violent thunderstorm — their clothes were soaking wet. The storm had delayed them, and John Adams was concluding his speech. As they had not been present for the entire speech, Richard Stockton asked Adams to repeat what they had missed. Adams refused; he had been interrupted and was, no doubt, vexed by the appeal, saying “why should he do so? Was he an actor there to entertain? Or a gladiator, there to do battle?” At the urging of Edward Rutledge, who said “only Adams had the facts at his command.” Richard Stockton repeated his request for Adams to make the case for independence once more. On August 2, 1776 Adams signed the Declaration of Independence with fifty other signers in attendance and remained in Congress until November 1777, when he retired from Congress—never to return. He went home to Braintree to resume his law practice. In 1778 Congress appointed him to a diplomatic post in France and Adams sailed with his ten year old son John Quincy. Adams, Franklin and John Jay signed the Treaty of Paris in 1783 ending the Revolutionary war, a few days later Adams fell ill with fever. In an effort to regain his health he visited England. There while attending a meeting of Parliament he had the satisfaction of hearing King George III announce Britain’s recognition of American Independence. Returning to Paris in 1784, Adams was joined by Abigail and the entire family. In 1785 Adams was appointed America’s first minister to Great Britain and remained there until 1788. Returning to America in 1788, Adams was elected as the first Vice President in 1789, a job he characterized as “the most insignificant office that ever the invention of man contrived or his imagination conceived.” He was reelected to the Vice Presidency in 1792. In 1796, John Adams was elected to the Presidency with only three electoral votes more than Thomas Jefferson, who became his Vice President. During his stormy but statesmanlike Presidency, Adams pursued a neutral course without abandoning his principles. He kept the United States out of a declared war with France and achieved an amicable peace. Adams advocated strong military preparedness and under his urging, the Department of the Navy was established and the Constitution (Old Ironsides) was constructed. In the election of 1800, Adams lost to Jefferson by eight electoral votes. They had been friends but because of the election became estranged. Benjamin Rush corresponded with both men and eventually brought the two old friends back together. Christmas Day 1812, Rush wrote “permit me again to suggest to you to receive the olive branch offered to you by the hand of a man who still loves you.” On New Years Day 1812, Adams took Rush’s advice, wrote a letter to Jefferson and they corresponded for the rest of their lives. Adams was described by his nineteen year old grandson Charles Adams, as “ scarcely exceeding middle height, but of a stout, well-knit frame, denoting vigor and long life, yet as he grew old, inclining more and more to corpulence. His head was large and round, with a wide forehead and expanded brow.” Adams lived in retirement for twenty five years writing and observing the political career of his son, John Quincy. On July 4, 1826 Adams lay on his deathbed, outside a thunderstorm raged. It reminded Adams of the storm that raged fifty years before, when he gave his impassioned speech for Independence in Congress July 1, 1776. Adams lay peacefully, his mind still clear as he stirred and whispered clearly “Thomas Jefferson still survives.” Those present declared “there was a final clap of thunder that shook the house; the rain stopped and the last sun of the day broke through dark, low hanging clouds—busting forth …with uncommon splendor at the moment of his exit…with sky beautiful and grand beyond description.” Remarkably, Jefferson had died on the same day, a few hours before Adams. The two patriots died on the fiftieth anniversary of the adoption of the Declaration of Independence. The remains of John and Abigail Adams are interred in a basement crypt at the United Parish Church in Quincy, Massachusetts. A thirty-one inch bust of President John Adams is displayed in the Senate Chamber Gallery of the United States Capitol Building. 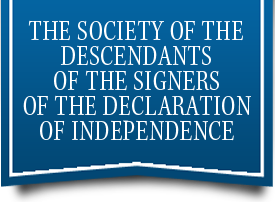 In Washington, D.C., near the Washington Monument, is a memorial park to the signers, with 56 blocks of granite, each one engraved with the name of one of the signers. In the Rotunda of the U.S. Capitol is the famous painting by John Trumbull entitled “The Declaration of Independence.” John Adams is standing at the table in the center of the painting, the first figure on the left with his hand on his hip.